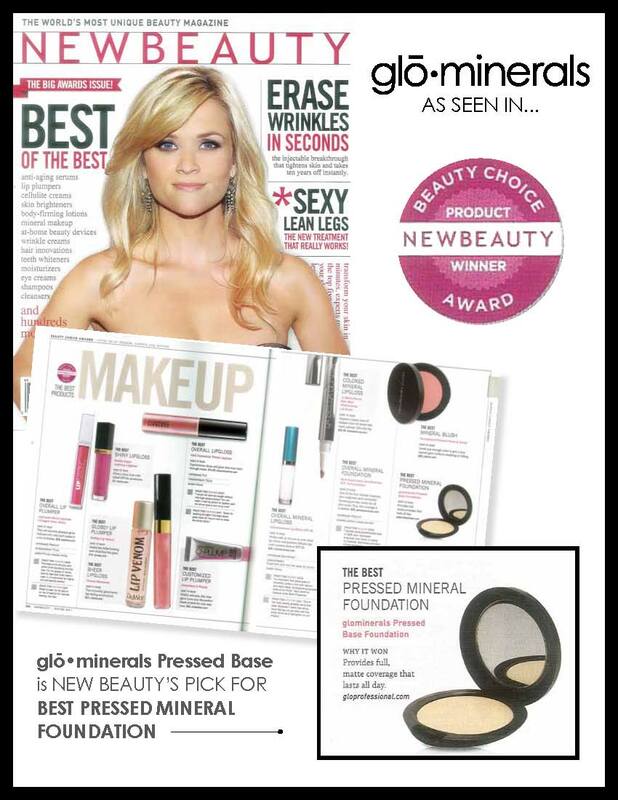 glō•minerals has been honored with a Beauty Choice Award from NewBeauty Magazine, featured in the publication’s Winter 2011 issue. 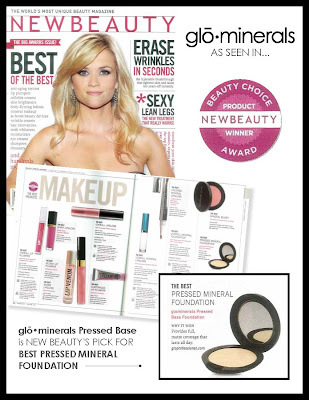 glō•minerals Pressed Base has been selected as The Best Pressed Mineral Foundation! Determined by thousands of NewBeauty readers, the magazine’s editors and top experts, the first annual awards recognize the best products on the market and we are extremely proud to be recognized as the top pressed mineral foundation! Thanks to all NewBeaty readers and editors!